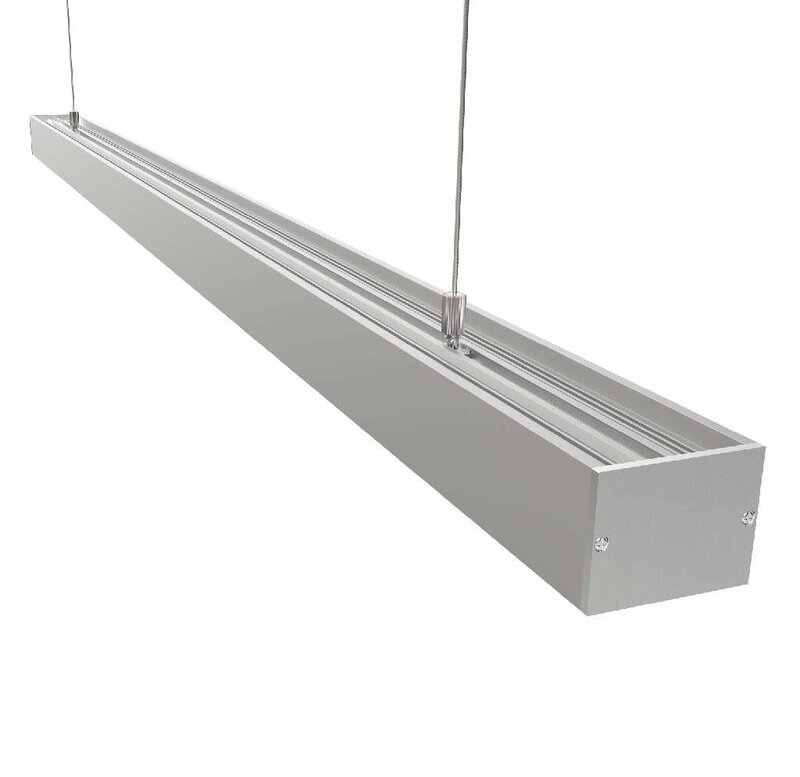 The A35 LED aluminum extrusion profile is a rectangular LED channel which can be used for suspended lighting or surface mounted to create your desired linear lighting effects. The finish is completely smooth which gives the profile a sleek appearance and provides a modern option for Linear Pendant lighting. The opal cover diffuses the LED strip lighting so that the illumination is even with no dotting. 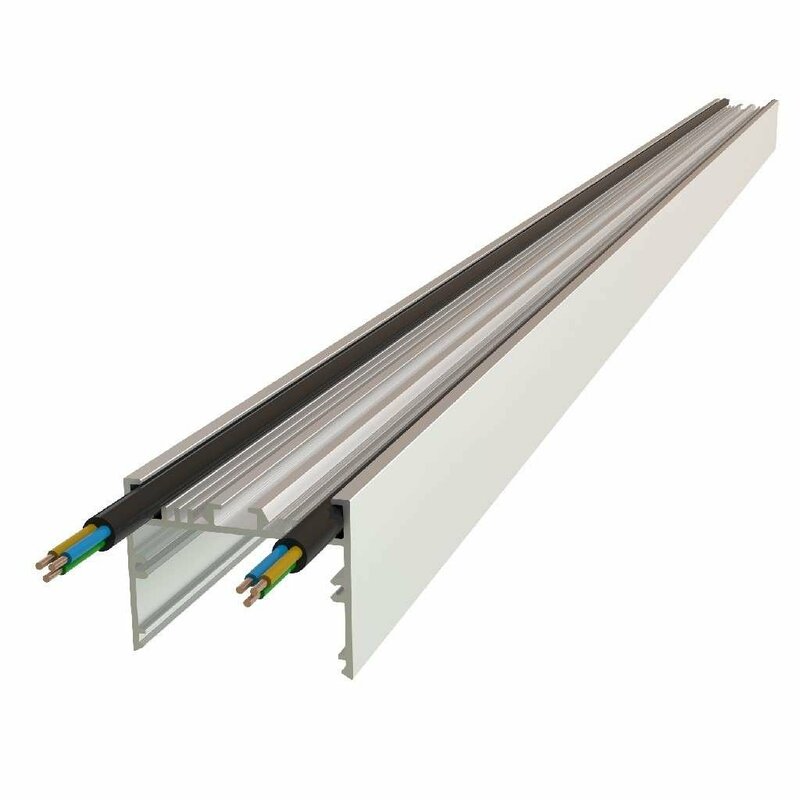 The aluminum channel provides substantial heat-management, essential to ensure the performance and longevity of high-powered lighting. 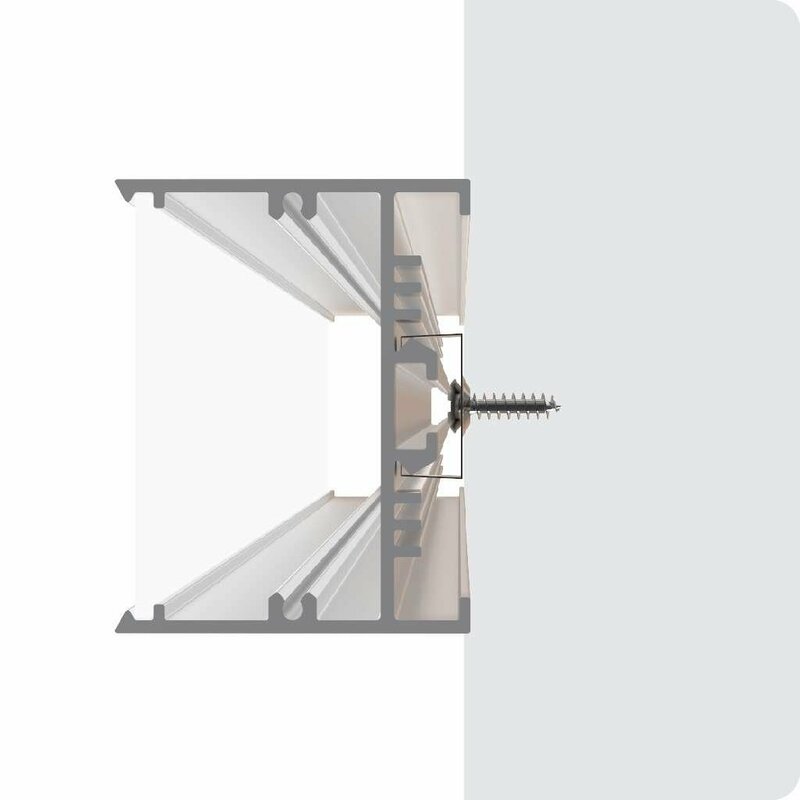 The profile can be ordered along with the suspension kit chains and the height adjusted as required. Surface mounted applications can range from LED Light lines around buildings, inside hotel passages and to much more!